Milestone: Our 8yo homeschooler learned to swim on his own! 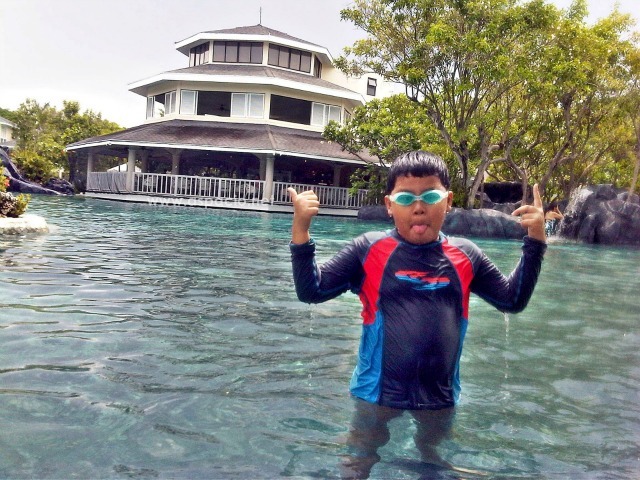 During our recent family getaway in Plantation Bay in Cebu, our homeschooler learned to swim on his own! 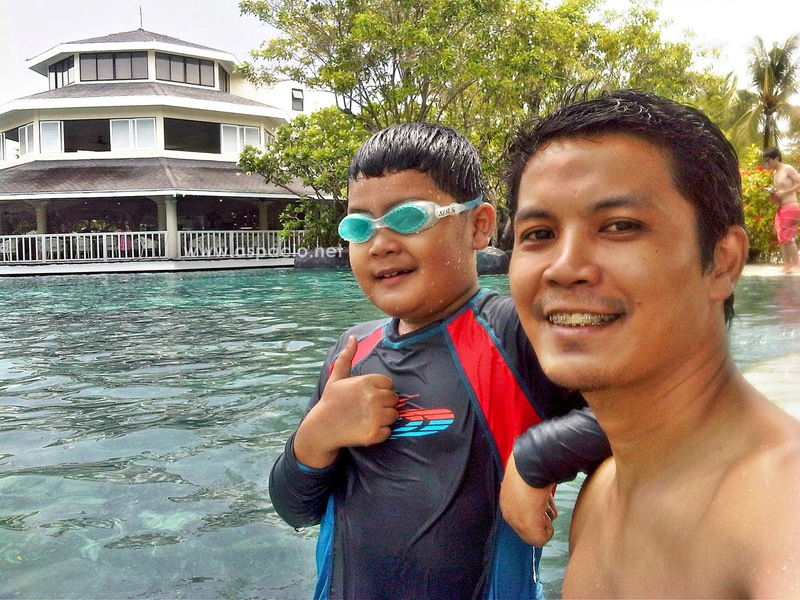 We initially planned to have to avail of the swimming lesson for kids in the resort just like last year. Considering last year the boy was wailing half the time Lifeguard Vincent was teaching him. He was plain crazy scared of drowning and no matter how often we visit pools and beaches, he’d just play in the water but he won’t hear of learning how to swim at all. That was until I talked to him about the importance of knowing how to swim. After that Ondoy flooding in 2009, we wanted to be more vigilant. After seeing a video clip of a baby swimming, he reluctantly said yes. But as we randomly talk about it the weeks previous our Plantation Bay getaway, he was no longer as reluctant. My husband told me that he tried teaching him while they were in Kilimanjaro pool but the boy was too scared. Hubby then decided to just let him be. He just swam close to where he was and as our son knows the basics of bubbles, he saw him trying to swim on his own. I came to the pool amazed! He totally took it after his father since Jeff also learned how to swim on his own around the same age. The day after, we are set to fly back to Manila, when I told our homeschooler that we only have 30 minutes left in the pool and we have to pack up for our flight, he as a matter of fact asked, “Mama, can you teach me how to float on my back?” I might just have learned to float a day before but I am the most thrilled mom that very moment. He learned in no time! I just had him lie down on his back supporting him from his lower back at first. All of these are milestones and made our family vacation in Plantation Bay all the more special and unforgettable.